There are 124 posts in this topic. You are on page 3 of 3. 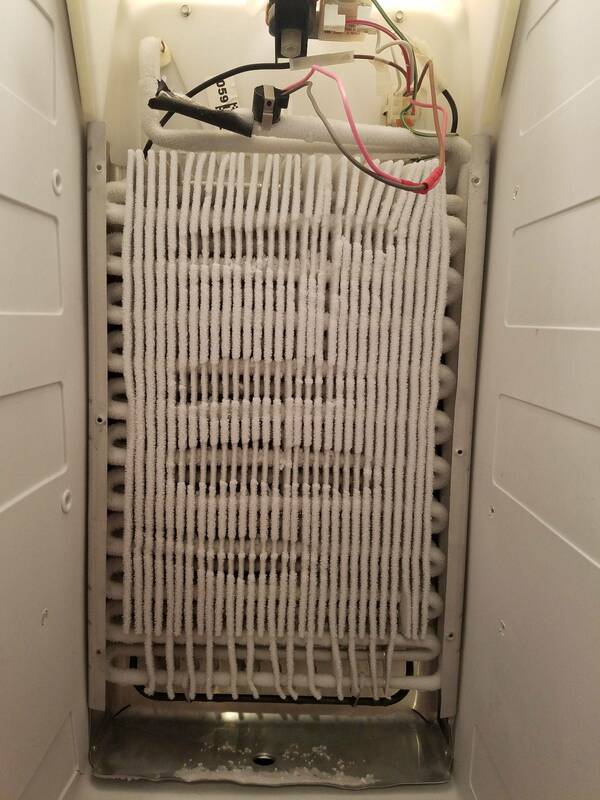 The reason i asked is because if that evaporator cover isn't installed, the heat from the defrost heater will not be directed upward toward the coils (and in result, it won't defrost properly--even the heater, defrost thermostat, and ADC are good)... Put the evaporator cover back on and let the refrig run for a few days. If temps stabilize around 0 in freezer and 37 in refrig--then you're all done. 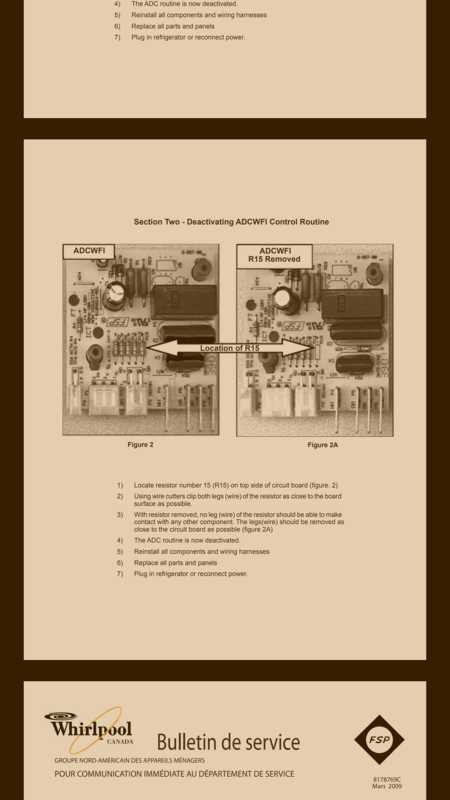 If in a week or 2 the problem returns, then you may still have an issue with the ADC. What you are going through is exactly what I went through on my side by side kenmore. After testing continuity on the freezer heater element and finding out that was good, I found my way to the defrost circuit board that was located in the refrigerator side where my controls were. 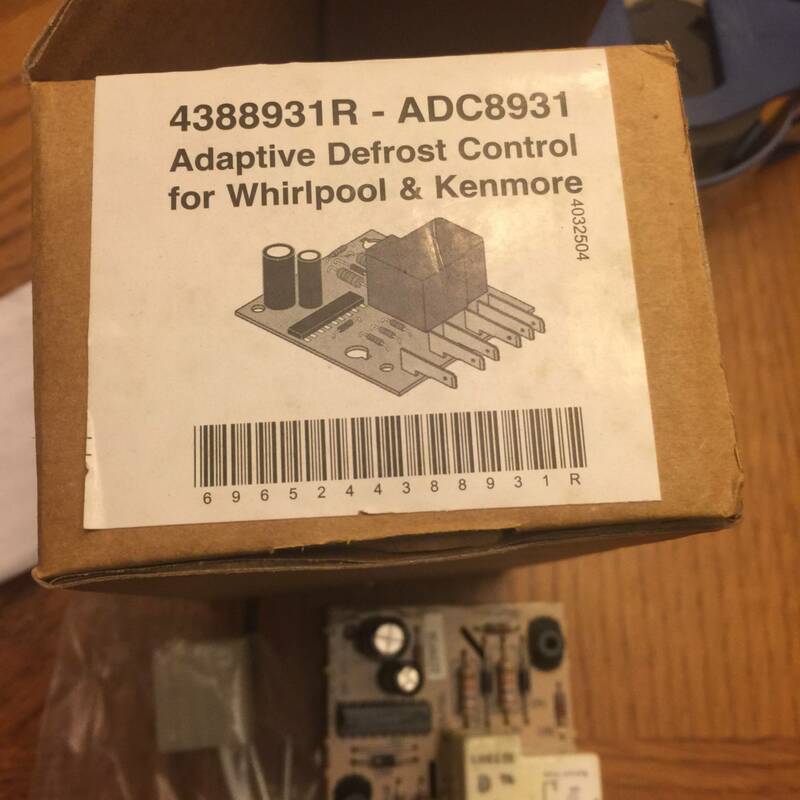 I found that the relay on that defrost board was not working so I ordered a defrost board on eBay. Think I paid about 40$ or less with free ship. That fixed it for me and all the iced up freezer coils got defrosted. The defrost relay kicks on and off several times a day and the contacts inside the relay spark and no longer get the current out to the heater element. I took the relay off the old board and confirmed this with my multimeter. 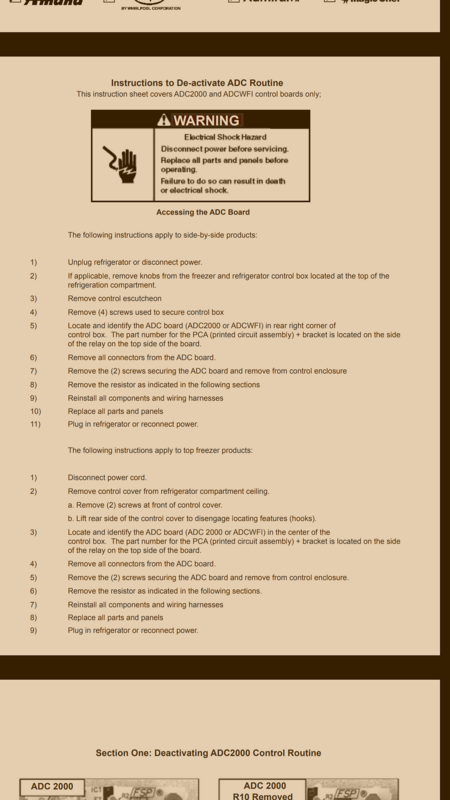 I am sure I could have just replaced the relay but bought the new control board in case my suspicion was wrong. Going strong now for the last six months. Hope this helps you because it is far cheaper than a new fridge. Swapping that small board takes 5 min and is very easy to do. Yea, I already took the board out once to clip off that resistor, it's pretty easy to get the board out. I was going to buy one on eBay also, but the problem is the one I found was $30 and it was a 10 year old used board also. Probably be best to just get a brand new one for $160. I'm guessing these boards only have a 10 year life to them, give or take a couple years, especially with what you described with the relay. The defrost still hasn't kicked in since I posted last time. I think I'll take the plunge and buy a new board. Thanks to frunch and gr3456 for your insights into helping me get it fixed. 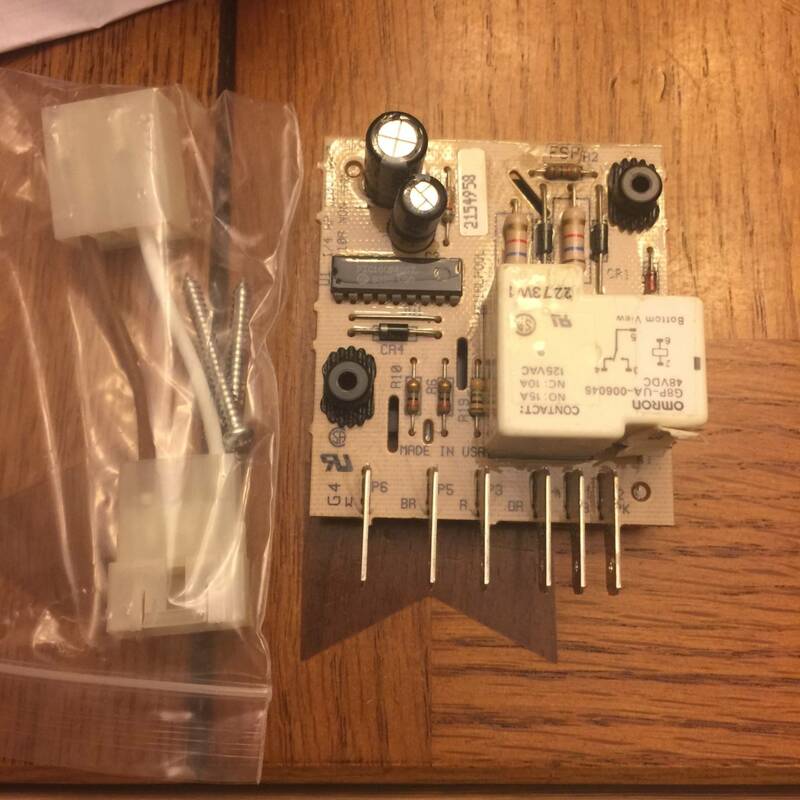 One last suggestion before buying a new board (which it's starting to look like it may be needed after all)--everything is wired up the same as it was originally? Specifically, the heater and defrost thermostat. Also, is the defrost thermostat attached to the evaporator coil? Also, you've reinstalled the evaporator cover, right? As i mentioned earlier, if the cover isn't installed, it won't defrost properly. The cover contains the heat and ensures the heat can only travel upward to the coils. 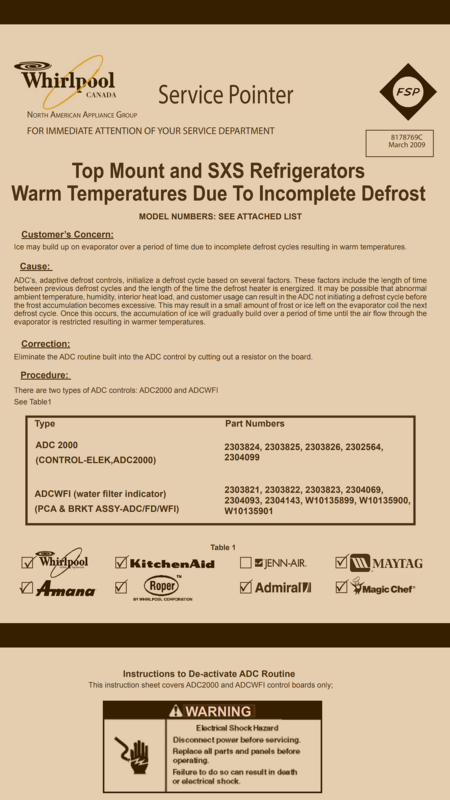 If all that's been done and your refrig section temps are not holding around 37 degrees, then it sounds like the adc will need to be replaced. Good luck! Still had the old part from back in August when I did this. 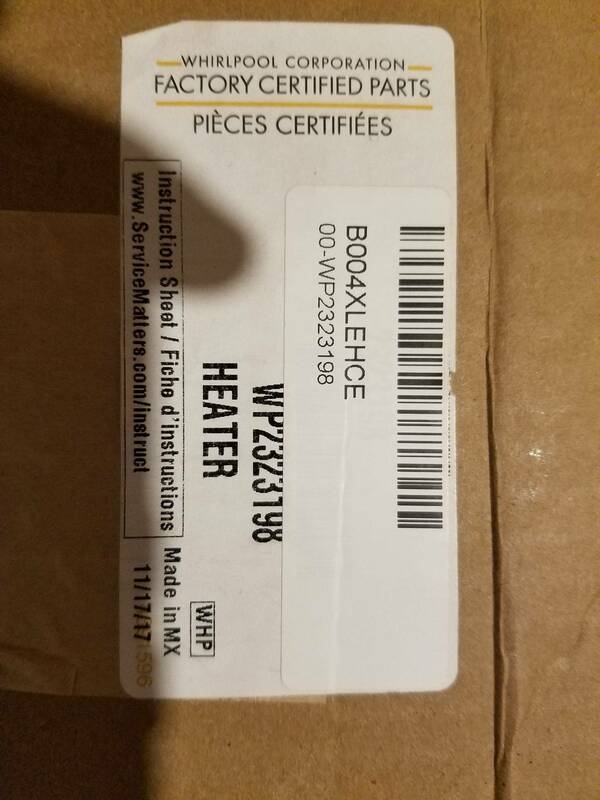 The white cable they sent along and I did not need. Do you have a part # or model # of the fridge? I am thinking you can get a new one for less than 50 brand new on eBay. Love the black stainless appliances. We bought the entire kitchen set from Samsung granted it's only 15 months old but so far no issues. 1 refurb for $50.12 and 14.88 shipping. if it was me, I would buy the refurb. Bet it has a new relay on the board. Think he had money back guarantee too. As far as a new fridge goes....forget Lowes. thermometer and it spent more time at 15 degrees than 4 degrees and rarely hit 0. Ice cream soft and ice packs never completely frozen. Had it set to coldest it could get. Had them come with a new one to swap it out. consistently. Good luck with whatever way you go. Bought an LG last year and hate it. It can't control the temperature worth a crap. Had LG come out and fix it in the first month. And the third month. And the 6th month. And the fourth time - they responded with "existing problem, we won't fix". Heck - still under warranty and they won't fix?!?! Called the store where we bought it (Nebraska Furniture Mart) to complain. Within 10 minutes - LG called and said they would be out within the hour. 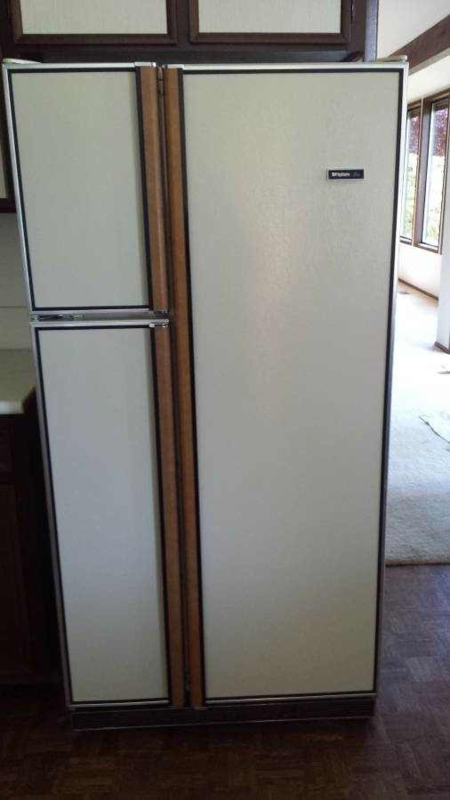 They replaced half the fridge. Worked for about 6 months and now it's having temperature control problems again. Won't buy that brand again. New circuit board did the trick! It went into a defrost mode right away after I installed it and plugged the fridge back in! 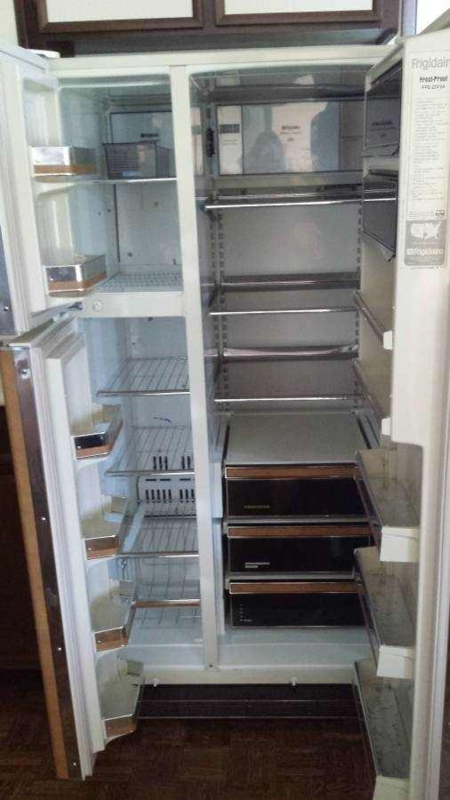 We have a GE fridge (came with the house, new construction) from 4 years ago... A year or two ago we woke up and the fridge was completely dead. No power to anything. Weird... We checked fuses, checked the outlet, everything was fine. Couldn't figure out the issue, so called for someone to come out. He spent a few hours and couldn't figure it out either. Eventually he removed one of the LED light bulbs... and everything came back to life! The LED board died and for some reason that took out power to the ENTIRE APPLIANCE. Stupidest design ever. It'd be like if your headlight on your car goes out, and the car shuts down while on the highway. Stupid. 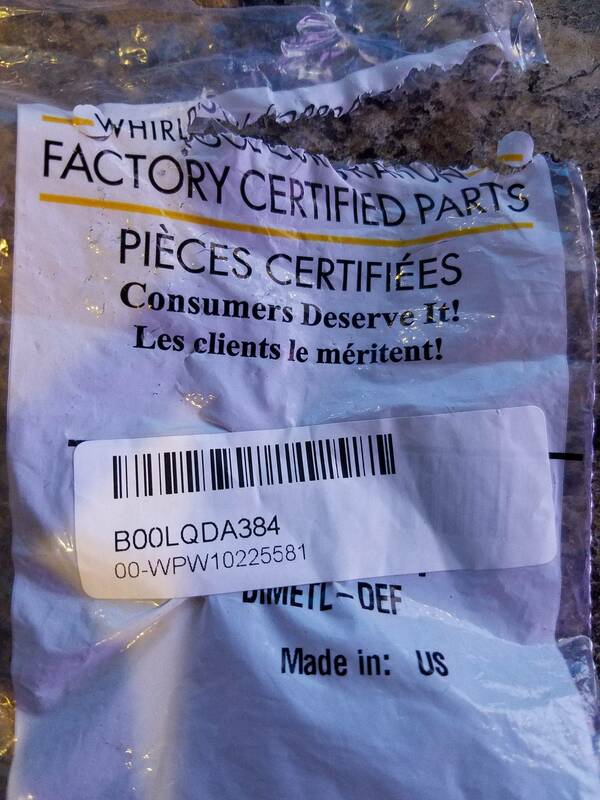 At least GE paid for the entire repair (out of warranty), and luckily it was winter in Minnesota, so we stored most of our frozen food outside. I would recommend anyone with a newer fridge to connect it to a surge protector due to the amount of electronics in today's fridges. Amazon sells single socket surge protectors that will do the trick for $10. Same goes for dryer / washer and chest freezers. On that note my grandmother just finally had a fridge die in her basement that was from the late 50's. 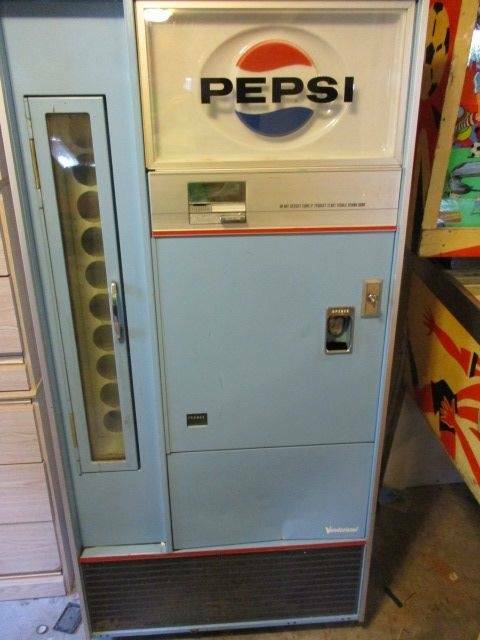 It was being used as a fridge for pop / beer for the past 30 years and always kept drinks cold. 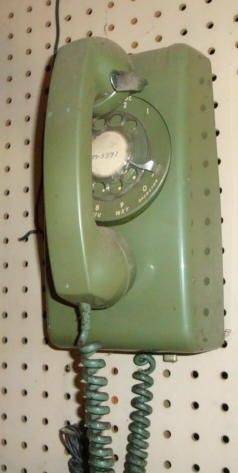 Crazy how long it lasted compared to today's household appliances. Awesome pcprogrammer!! Had a feeling you had that issue that I lived through in August. The relay was probably burned out from all the internal sparking over the years. Mine is running strong and probably will for years now. Well done and glad you could fix it! If you are comfortable with working inside a breaker box, these occasionally go on sale for a good bit less and cover the entire home. Much more protection than your average surge protector for that matter. with one small breakdown 6 years ago. It does have an ice maker but internal. Nothing on door. Water and Ice inside. No further problems. Knock on wood! Do you like ice? Does your family use a lot of it? 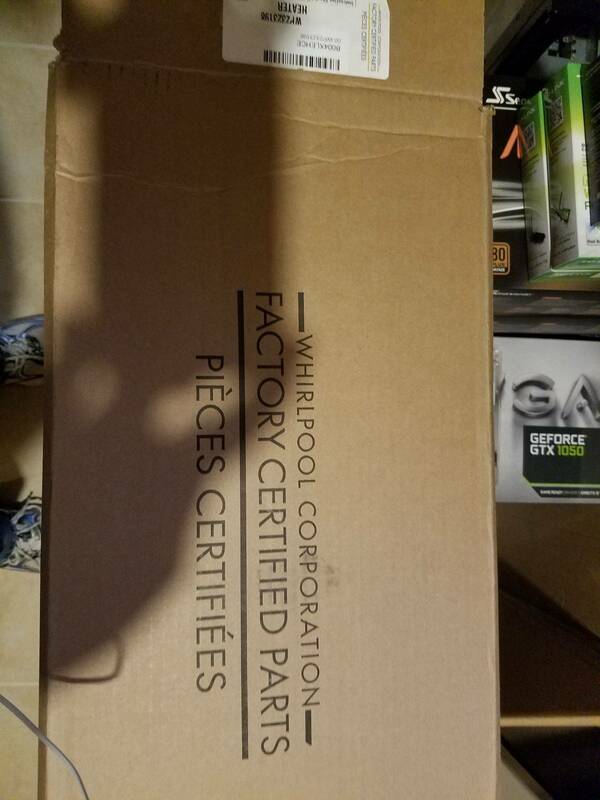 If so do not buy a GE. My GE frig doesn't make enough ice for one person much less a family of four. You have to keep the Max Ice on at all times for it to even make enough to use and that only stays on for 24 hours. Also, all the drawers and shelves are broken because they are cheap crap and the shelves in the freezer fall and everything in the freezer falls to the bottom. I do not like GE, I think their stuff is junk, but I think most appliances are junk now days. I don't know what brand to recommend but I will not go with GE on anything again. YES I DO! Sorry, I get frsutrated with ice Our LG now makes a lot of ice but they are very small pieces which I cannot stand. Good stuff! Glad you got it sorted out. I was hoping it was gonna be a matter of removing the resistor, but i guess that's not always the solution on these. Thanks for following up! I work at a state college in NC. Our money pit chancellor and his wife want a new fridge in the new to us house (1.6 mil, spent another $500,000 getting it "good enough" for them to move in). Nothing wrong with the fridge. 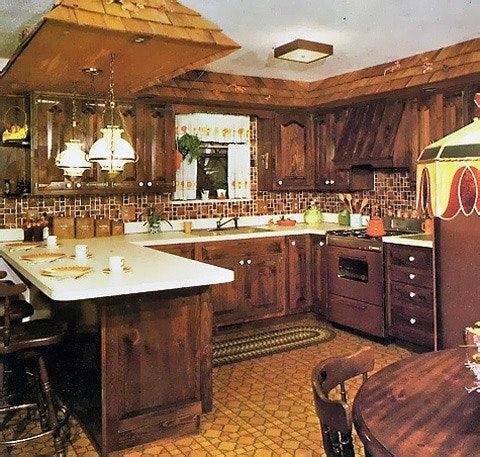 Matches the cabinets and a very nice fridge. 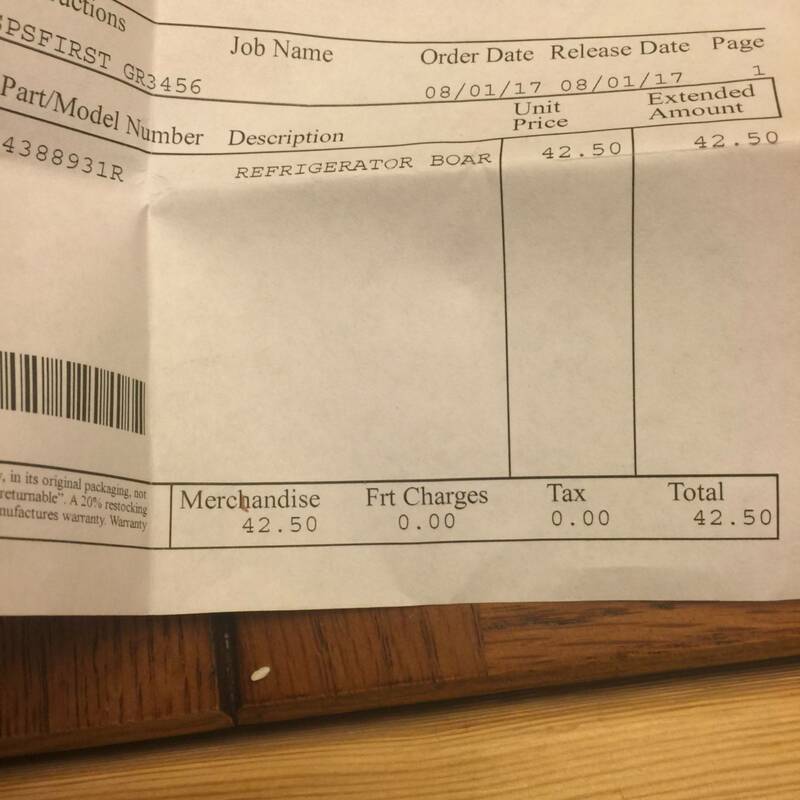 The cost for the new fridge? I could tell you stories on how much money they waste on him. I bet the students would just love to know some of their spending. 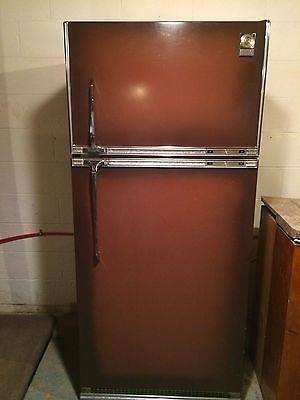 I hated to get a new fridge when this one was still cooling just fine, it was just the defrost not working. I just got everything put back together, defrost still working great. My bottom drawers on the fridge side are broken too. I'll probably buy at least one of the drawers, they are $72 on the sears parts direct site. If I ever do get a new fridge someday, I'll probably stick with Whirlpool. They are easy to work on (this Kenmore was made by whirlpool). If you grab the part # for the drawer from Sears site and try it at Amazon or ebay, you may be able to save a few bucks. Glad you got it all sorted out. Newer refrigerators are a lot more problematic these days, it's nice you can hang onto the old one for a while.